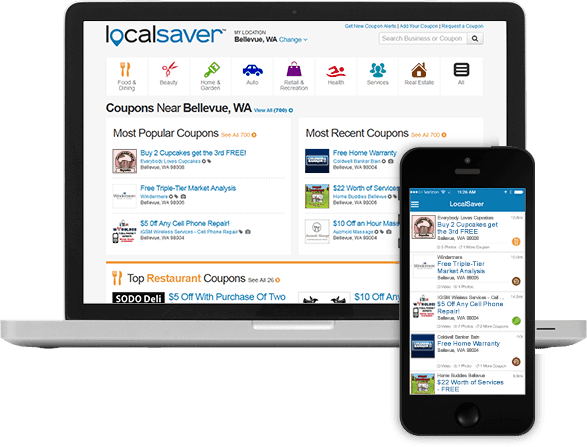 LocalSaver is the best source for consumers to find local coupons and deals. With a FREE LocalSaver account, you can add up to 5 offers to the LocalSaver website and mobile app and get your business exposed to local consumers in your area! The LocalSaver Network™ is the largest coupon network on the web. 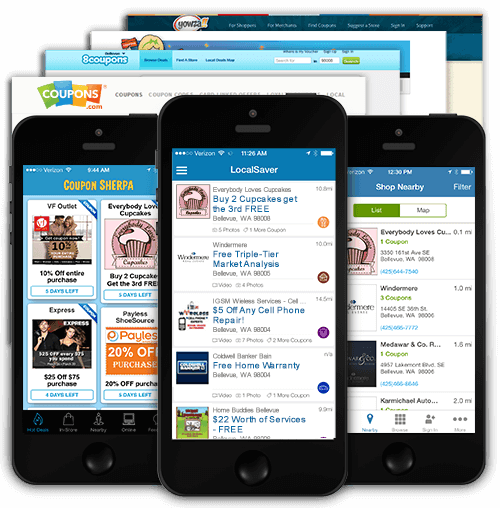 With a few clicks, all your coupons will be pushed to 14 popular coupon websites & mobile apps. Learn more about the LocalSaver Network and try our LocalSaver Plus account, only $9.99 per month!! 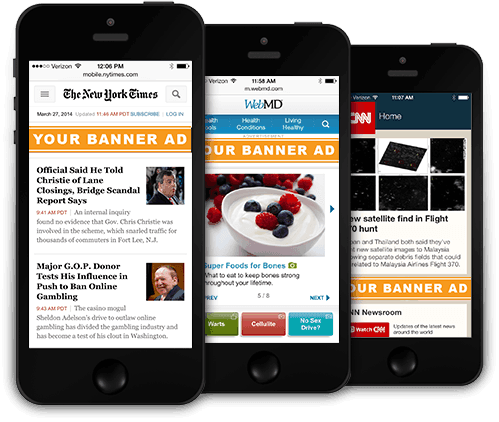 Get exposure on 1,000s of mobile websites and apps. Mobile advertising reaches the customers you want most, those who are near your business right now. Our SmartLayer Ad targeting software helps you find the right customers at the right cost on the the right ad platforms, and automatically adjusts settings based on actual ad performance. 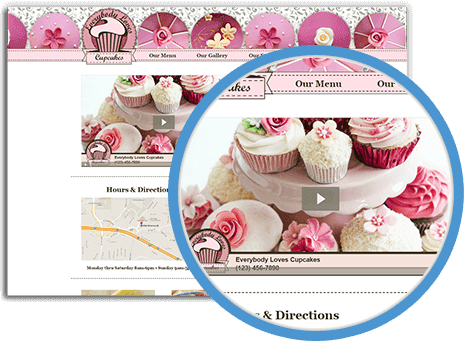 Stand out from your competitors and improve your Google search ranking with a promotional video about your business. Post the video to your company website and share it on Facebook, YouTube and blogs. Provide us with a quick summary of your business and up to 12 photos. We’ll also use our high-quality photos and video clips that best fit your business. Your video will be ready in less than 2 weeks. See examples and learn more about our Business Videos and order yours today!